When designing industrial carts for manual material handling (MMH), a primary goal of an industrial ergonomist is to reduce the risk of musculoskeletal injuries by keeping the forces required to start, stop and maneuver the cart within recommended safe limits. 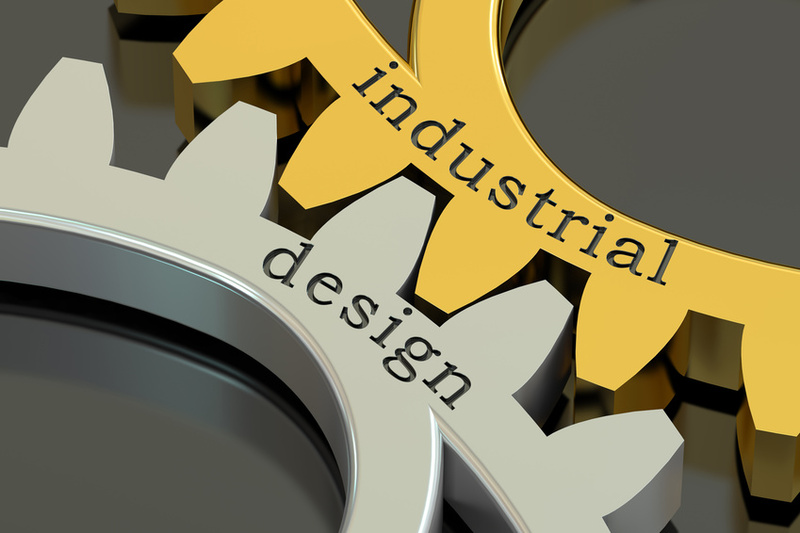 In industrial ergonomics, the hierarchy of controls used to reduce risk gives priority to engineering controls and is commonly described as “designing out the problem”. Cart handles should be placed at about hip height vertically and at about shoulder width horizontally relative to the individual user. This allows an individual to exert his or her maximal push pull force. For the North American population, the vertical height range of a cart handle should be about 94.8 cm (37.3 in) to 117.8 cm (46.4 in) above the floor (3 cm/1.2 in added as an allowance for shoe height). The distance between the handles also affects the maximum force that can be exerted. The fifth percentile shoulder width value for females is about 33.5 cm (13.2 in) and the 95th percentile value for males is about 44.7 cm (17.6 in). The distance between handles is also important when turning carts. Turning a cart requires exerting torque on the cart and the horizontal distance between the points where an operator grips the cart’s handles determines the amount of torque that he or she can exert. The type of casters used directly affects the amount of force required to move and maneuver a cart. For example, a larger diameter caster will more readily roll over debris and surface irregularities. Generally, a larger caster requires less force to maintain the motion of a cart once the cart is in motion. A larger diameter caster also reduces the force of exertion for heavier loads. Reducing the weight carried by a caster, increasing the diameter of the caster, or doing both will reduce the force required to keep the cart in motion. The type of caster used affects the force necessary to turn carts. If the casters are fixed and cannot swivel, turning the cart drags the casters over the floor surface, adding frictional force to the effort required to turn the cart, as well as increasing wear to the casters. Mounting a caster on a swivel allows it to turn and align with the cart’s new heading. However, when a single caster turns, it pivots in place against the floor. Although the work of pivoting the caster is relatively small, it also can wear away the caster. In contrast, a pair of freely-rotating casters mounted on a swivel turns like the differential joint in a car; each caster turns separately, rather than being dragged over the surface and abraded. Location of swiveling casters on a cart is also an important consideration. A common recommendation is to place the swiveling casters under or as near as possible to the point where the push or pull force is applied to the cart. However, in some instances there is an advantage to having swiveling casters at the front and back of a cart to facilitate placement of the cart within restricted spaces. It is generally useful to include a locking feature on such casters to improve tracking when precise positioning is not required. Casters offset relative to the swivel point give leverage and mechanical advantage to the operator, which reduces both the turning radius and the turning force. Similarly, placing swiveling casters on the cart at a greater distance from the cart’s center of gravity than the fixed casters reduces the weight that the swivel casters support, reducing the amount of force required to turn. In summary, investing in well-designed industrial carts for MMH tasks to keep the operating forces within safe limits throughout the life of the cart pays a return by reducing the risk of musculoskeletal injuries. In addition, reduced cart operating forces can achieve operational efficiencies and productivity gains. Designing industrial carts to achieve these two goals, reduced injury risk and enhanced productivity are laudable goals for all industrial ergonomists. 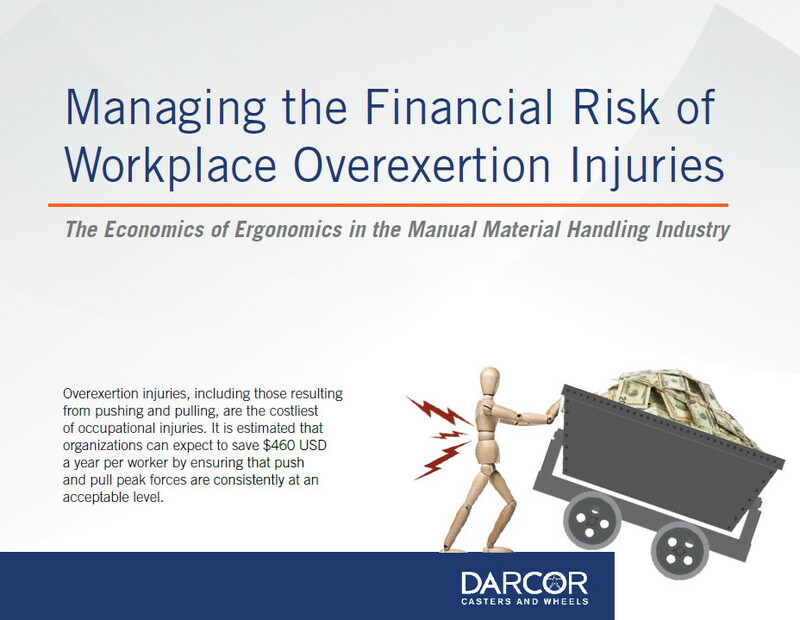 To learn about reducing workplace injuries and supporting cost justification for crucial ergonomic solutions, download the Economics of Ergonomics Guide now. 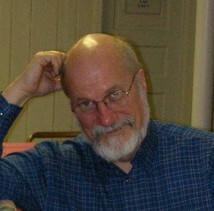 Tom Albin PhD is a licensed professional engineer (PE) and a certified professional ergonomist (CPE). He holds a PhD from the Technical University of Delft in the Netherlands. He is a Fellow of the Human Factors and Ergonomics Society. Tom has extensive experience as a researcher, corporate ergonomist, and product developer. In addition, he has been active in the US and International Standards community. He is accredited as a US expert to several International Standards Organization working groups and is Vice-Convenor of the ISO committee revising the standards for input devices and workstation layout/postures. He chaired the committee that revised and published the American National Standard ANSI/HFES 100-2007 Human Factors Engineering of Computer Workstations and currently co-chairs the committee working on a new revision of that standard. Swivel Caster with Option, Rig made of pressed steel, bright zinc finish, Top Plate mounting. Solid Elastomer wheel tread, Precision Ball bearing. Rigid Caster with Option, Rig made of pressed steel, bright zinc finish, Top Plate mounting. Solid Elastomer wheel tread, Precision Ball bearing. Swivel Caster with Option, Rig made of pressed steel, bright zinc finish, Top Plate mounting. Neoprene wheel tread, Precision Ball bearing.